Pebre is probably the most ubiquitous condiment in Chile. This spicy mixture of chili peppers, onions, garlic, and cilantro comes in many variations in different regions of the country. Pebre is excellent on sandwiches, like the popular "chorípan" made with chorizo on a french bread roll. Chileans often enjoy dipping their marraquetas (French bread roll) or sopapillas into a dish of pebre, or serving pebre over grilled meats, much like chimichurri sauce. The red color of most pebres comes from red chile pepper paste, not tomatoes (though some people do like to add tomatoes to pebre), so it does not taste like most North American salsas. One of the most famous variations of pebre is called chancho en piedra, so named because it's traditionally prepared in a stone mortar and pestle - chancar means "to grind" and piedra is stone). Chancho en piedra typically has tomatoes and is ground to a smoother, almost sauce-like texture. This is a basic version of pebre, but pebre is a very personal dish and you should experiment to find the balance of ingredients that you like best. Peel and finely chop the onion and place in a bowl. Mince the garlic and add the onion. Finely chop the cilantro and add to the bowl. 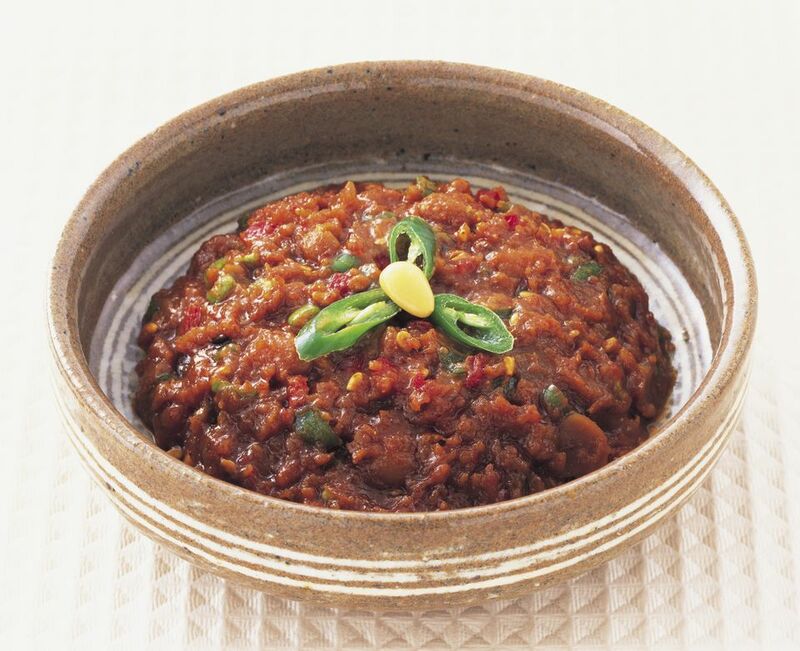 Stir the red chili pepper paste into onion and garlic mixture. Add the olive oil and red wine (or red wine vinegar) to taste. Season mixture with salt and pepper and add lime juice to taste. Store pebre in the refrigerator for up to one week. It will taste spicier the day after you make it.